This post was sponsored by NABISCO as part of an Activation for Influence Central, and all opinions expressed in my post are my own. Who loves to WIN amazing prizes? Silly question I know but you never know. How about winning prizes on products you might already buy? Now I like that, and when I found out, I already buy these products I was super excited. Walmart is my go-to store for my families snacks. My kids are teens and WOW they go through the snacks. 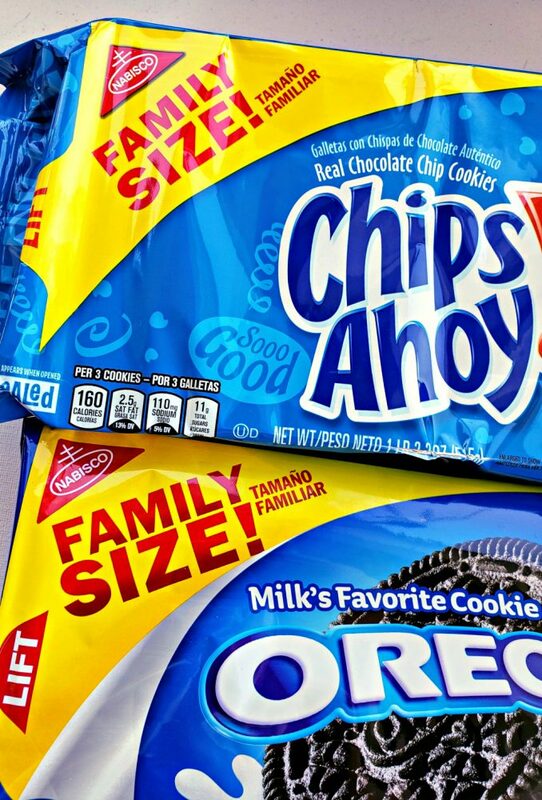 Why I buy them snacks at Walmart is because of the FAMILY SIZE. My 16-year son will eat a whole bag to himself if I let him. I like to make ICE CREAM sandwiches when I get the CHIPS Ahoy! cookies for the kids to have after dinner. I think they sneak some when I’m not looking too. The OREO’s well they go so fast in my house, my husband is usually the cookie monster. The RITZ crackers well that is my favorite snack, I put tuna and cheese on those yummy crackers and lunch is served! Now onto to the good stuff…how to WIN the prizes. 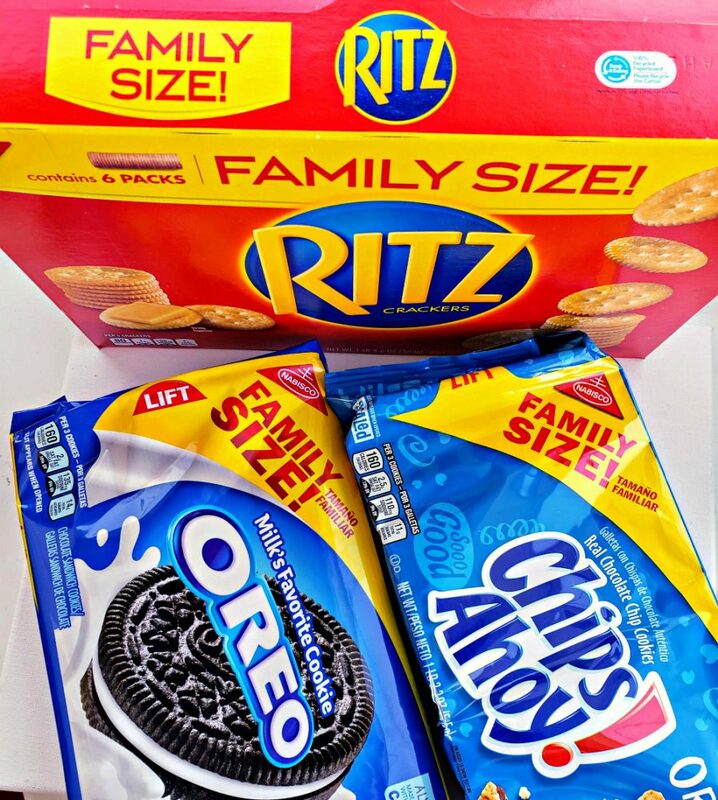 Head to your local Walmart and pick up some Family Size RITZ, Family Size OREO, and Family Size CHIPS Ahoy! Collect To Win game booklets on the front of the package (while supplies last). The Collect to Win on-pack game booklet contains a scratch-off letter chance. 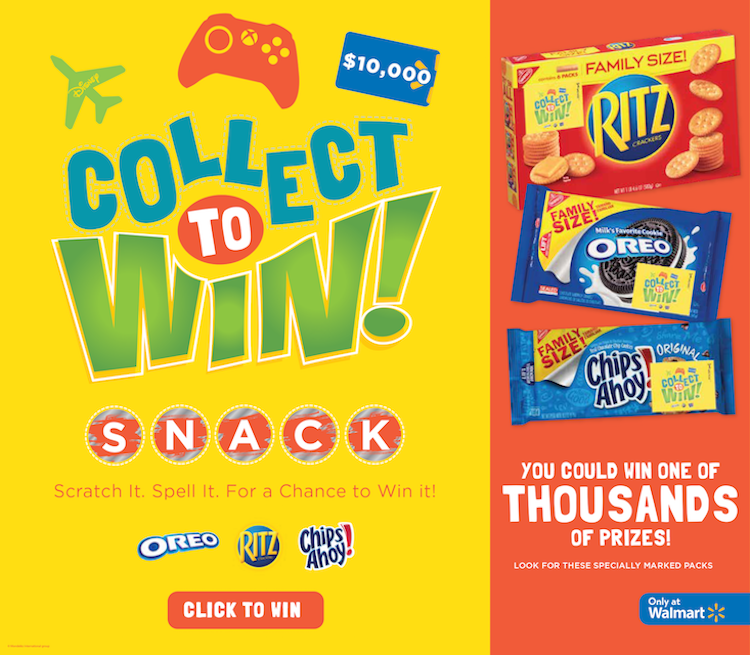 Scratch and collect the letters to spell SNACK for a chance to win a $10,000 Walmart gift card! Be an instant winner– also in the booklet!! Play for a chance to instantly win a trip to Orlando, FL, an Xbox One Console, thousands of Walmart gift cards or OREO Chocolate Candy Bars. At Walmart, the specially marked packages are in the cookie, and cracker aisle plus your store might have a display off to the side of the aisles. The game pieces are bright and yellow, so they’re easy to spot on the package. 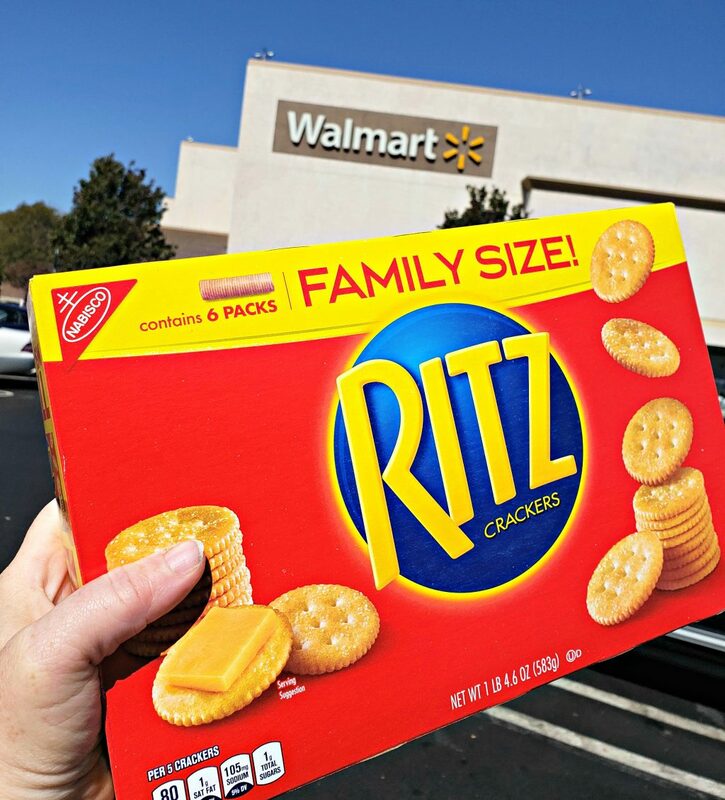 Get the FAMILY SIZE at Walmart! 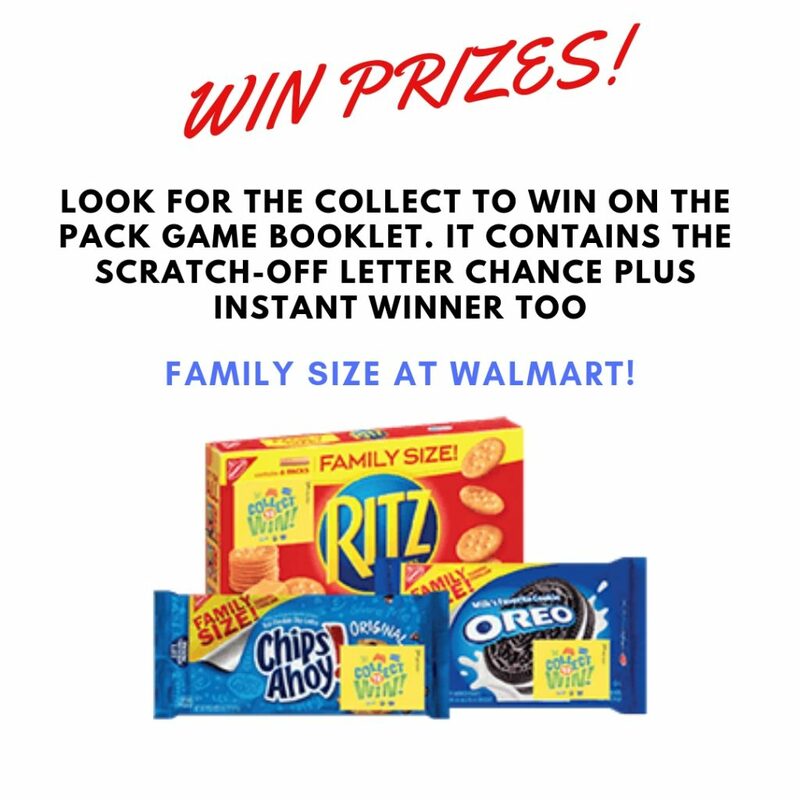 If you are ready to WIN make sure to grab the above items at Walmart, get the game booklet and check to see if you are an instant winner! My favorite snack is Ritz and cheese! What is yours?